General Anesthesia or “Sleep Dentistry” is an option for children that are so anxious in the dental office that they cannot relax or sit still long enough for the dentist to treat them. General anesthesia renders your child completely asleep. This would be the same as if he/she was having their tonsils removed, ear tubes, or hernia repaired. Our office is certified for General Anesthesia services by the Royal College of Dental Surgeons of Ontario and anesthesia is administered by a Board Certified Medical Anesthesiologist. Your child can sleep through the entire dental appointment. Children who have difficulty with freezing or who have sensitive teeth/mouth, experience no pain or discomfort while sedated. Sedation Dentistry eliminates the prolonged discomfort associated with extensive visits, or complicated treatment. Your child will not remember anxiety producing noises, smells or procedures of dentistry including injections or drilling. Sedation Dentistry takes the stress and discomfort out of current and future dental experiences for you and your child. Your child will replace old anxious experiences, with new pleasant ones – transforming the way they feel about going to the dentist. Your child will have no problems with their gag reflex or keeping their mouth open for an extended period of time. Complex dental treatments usually requiring multiple appointments can be completed in one. Our office is specially equipped for these treatments, so you may avoid hospital wait times, and unnecessary interim antibiotics for your child. Please notify us of any change in your child’s health, including fever, ear infection or cold. Should your child become ill, contact us immediately. 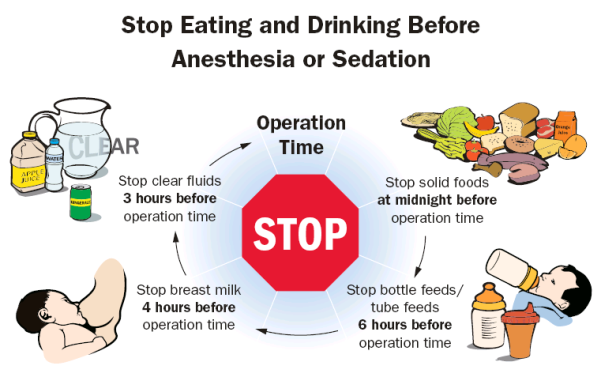 PLEASE FOLLOW THE STRICT GUIDELINES WE HAVE OUTLINED FOR YOU AS WHEN TO STOP EATING AND DRINKING PRIOR TO YOUR CHILD’S PROCEDURE. The child’s parent or legal guardian must remain at the surgical site waiting room during the complete procedure. Your child should not be allowed to sleep for a long period without urinating. Wake your child every hour and encourage them to have something to drink in order to prevent dehydration. At first it is best to give your child sips of clear liquids to prevent nausea. The first meal should be light and easily digestible. Prior to leaving the outpatient center, you will be given a detailed list of “Post-Op Instructions” and a contact number for emergency dental care if needed. We are based in Vaughan, Ontario and provide services in Maple, Woodbridge, Richmond Hill, Vaughan, and Toronto. Our mission is to provide the highest standard of specialized and comprehensive oral health care and orthodontics for infants, children, adolescents, and patients with special needs.